Proper understanding and application of financial concepts is becoming essential in the non-profit sector, as donor agencies increasingly prefer organizations that have good financial management systems in place. A training conducted and organized by Community World Service Asia in August was specifically designed to strengthen the financial management skills of participants belonging to small-scale organizations. 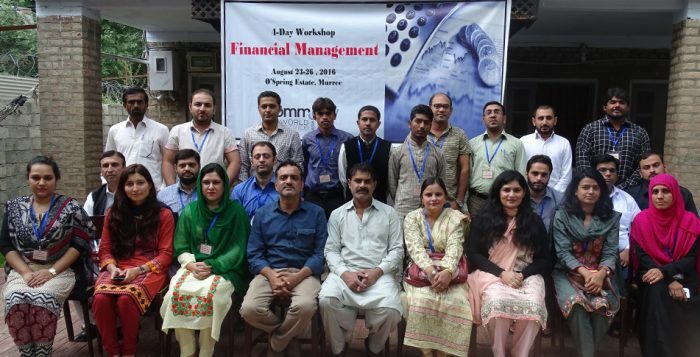 The training aimed to equip participants with knowledge and skills to help them utilize financial management tools with efficiency and effectiveness. The training imparted specific skills on the fundamentals of financial management, developing effective financial policies and internal controls, streamlining accounting system as per organizational policies, preparing budgets, preparing financial reports as per the donor requirements, as well as facilitating audits to ensure transparency. 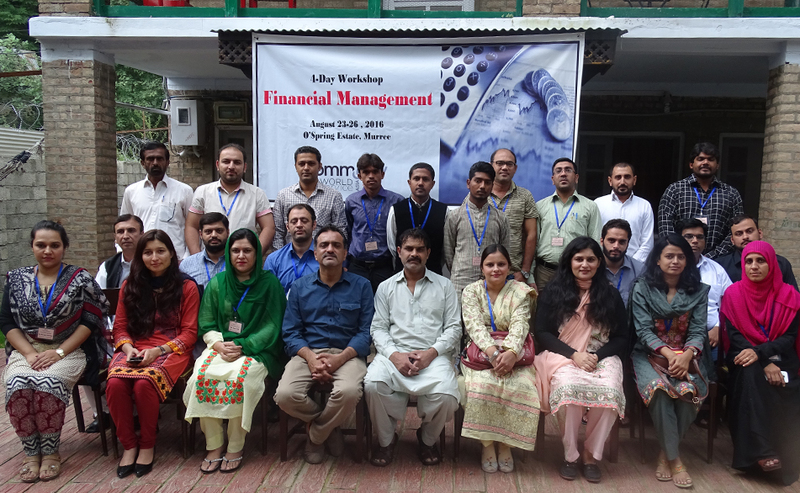 The training was held in Murree in which twenty-three participants from twelve organizations working in Punjab, Sindh and Khyber Pakhtunkhwa provinces in Pakistan. The methodology revolved around brainstorming, individual exercises, lectures, role-plays and group work. Mr. Muhammad Masood Ahmed, the trainer for the event, came with a vast experience in financial management and capacity building with national and international development organizations. He has worked in the civil society sector with cross-functional responsibilities such as financial management, budgeting, auditing, operations management, and conducting trainings. He has trained over a thousand staff members of CSOs from all across the country on various areas of finance, in addition to conducting staff evaluations, training needs assessment exercises, and has additional experience of charting development plans for staff. “Everything, which I learnt in this 4 days’ workshop, is very useful and quite knowledgeable for me, I have learnt Chart of accounts, financial planning, internal control, financial policies and procedure which are all very useful.